Natural stone tile flooring in Castle Rock, Littleton & Colorado Springs, CO from Colorado Carpet & Flooring, Inc.
Stone can be a good flooring material for South Denver and Colorado Springs. 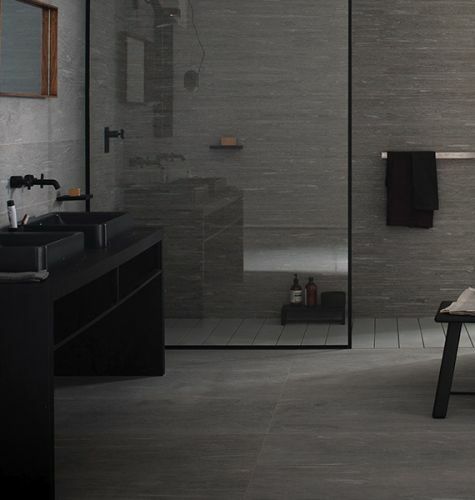 Stone can most often be found in bathrooms, kitchens or even living rooms, but due to their porosity and properties many stones shouldn’t be used in rooms where the risk of staining, scratches or water is high. Prices vary a lot, as much as the types of stone. Alternatives to natural stone include most ceramic tile, fast-growing woods (bamboo, cork flooring), or laminated and engineered woods.